Baghdad/ Iraq TradeLink: OPEC General Secretary Mohammad Sanusi Barkindo reported that Baghdad gave assurances that it will "fully abide by the decision to decrease oil exports to enhance oil prices internationally". Iraqi oil minister Jabbar al-Lu'aibi stated, before a conference in Baghdad and attended by Mr. Barkindo, that Iraq is implementing 98% of the oil production decrease. Mr. Barkindo informed the conference that the oil decrease situation is "encouraging", pointing that the commitments with the member countries reached to 86% in January, 2017 and 94% in February, 2017. 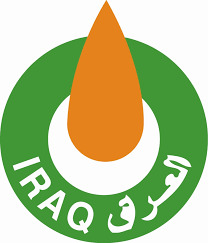 Minister Lu'aibi added that Iraq is planning g to increase its oil production plans to five million barrels and increasing its oil reserves. He expected that Iraqi oil reserves will reach to 178 billion barrels. On the other hand, Iraqi Oil Marketing Company (SOMO) announced that the average oil production reached to 4.464 million b/d since the beginning of this month, which is lesser by 300.000 b/d since the application of OPEC oil decrease last January, 2017.